Estimated Class 4. Fails Class 3 on 6.5% hardstanding within 10 metres, limit <=5%,. Note: this is the first site in this project where met enclosure hardstanding has been considered in detail. Detailed reasoning for failing Class 1 and 2, and evidence within 10 metres is presented below. UHI, close site, distance, none, coastal site. Note the site is about 300 metres from the recent dual carriageway A30 and single carriageway former A30, about 1km from the outskirts of Camborne town. I have spent a week and more on detailed investigation in part as a precursor to reappraisal of already published articles. The Camborne site can reasonably be expected to follow Met Office best practice although I suspect basic met data is not important at this site. I am mentioning details which might seem trivial, best read as using this site for working out more generally. The patchwork enclosure lower left of the site is for specialist instrumentation. The radiosonde launch tower and hardstanding is obvious. Wind tower is in the far eastern corner of the site off the main image above. 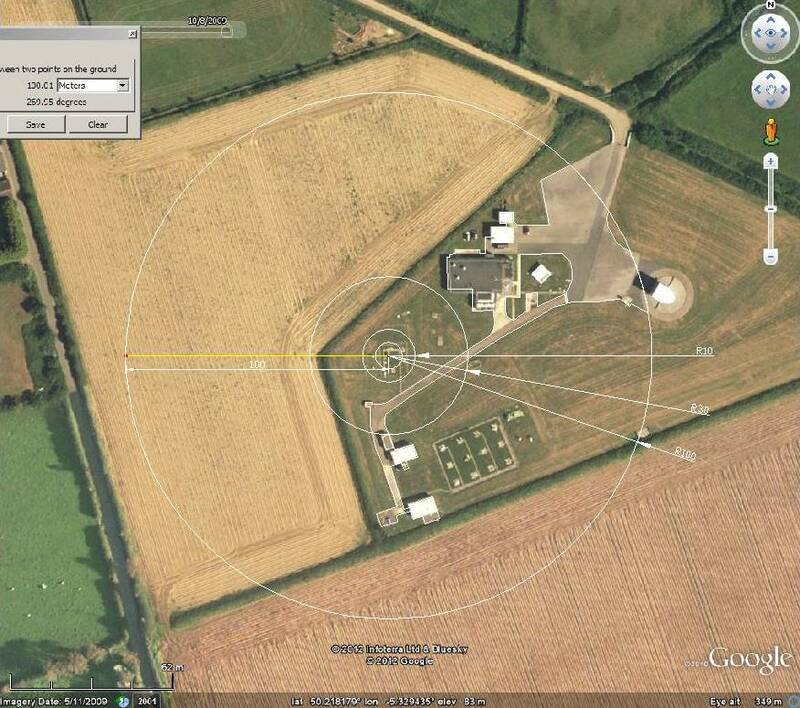 Site is neat and tidy, wind tower off to the left, radiosonde hut and launch area in front of you, main offices centre (presumably gas heated, tank on the north side) . A chain link fence divides from the field, narrow field margin, in front of you is a very common plant on poor soil (Ulex europaeus, gorse, common gorse, furze) and other things. As near coastal substantial trees are rare, but in my experience of similar locations this is somewhat protected from severe winds which will produce a turbulent boundary layer even under severe storm. If the close site is ignored it might seem reasonable this is a Class 1 site but there are various poor features. There are two fields. 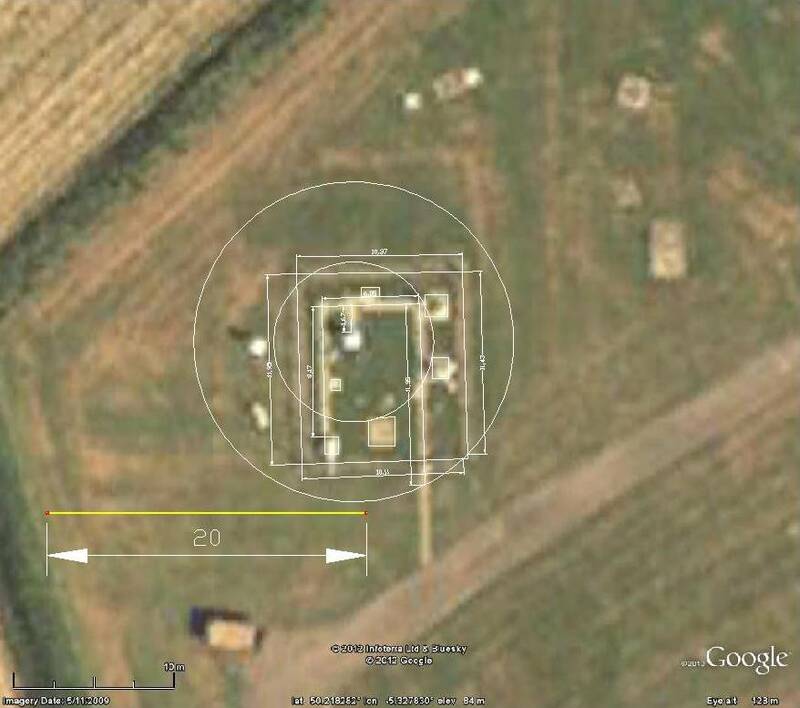 Google aerial reveal they are cropped which almost certainly fails on unnatural ground cover and height. However, Google Street view show they are bare ground some of the time. Bare field, Stevenson screen visible, some scrub next to fence. From the road along the western side of the field you can just see the Stevenson screen with the start of a tall scrub hedge. Further down the road from the prevailing wind we cannot see the Stevenson screen, just the top of the tall instruments. Here we can see the field to the south is bare earth at this phase of cropping and the south hedge. It might pass but fails on close site. The Met Office seem to have standard site designs which include concrete paving, many instruments some on concrete foundations and concrete foundations for a fence, of variable design, closeness and height. For temperature measurement it is supposed in general terms to be over short grass or similar. This is reflected in the WMO document. I have no access to Met Office sites, too far away anyway so I am trying to figure things out from a distance. The first breakthrough on deducing what paving existed at Camborne, clearly there in the Google aerial images (see over time), was three photographs..
Radiometer Physics GmbH, page of interest, right hand side, 3rd item. A browser or external editor can open these at their natural larger size. Middle image shows the met site left background. I have been working on a guess that paving was actually ducting covers for underground services, these being AWS. Paving as such tends to the standard sizes of 300mm or 600mm in the UK, 1ft or 2ft in old money, ducting tends to narrower. I’ve concluded the paving in this special equipment enclosure is 240mm to 300mm wide and might be ducting covers, some of it is curved. A sometimes large Google aerial signature might come from disturbed margins making it seem wider. A surprise was the fence, is using a strip concrete foundation all around the enclosure. I estimate this to be 300mm wide (1ft) (note the human shoes in the photos); is wider where the paving abuts such as near camera. The fence is a classic oldish English style, concrete posts containing rebar, three steel tension wires and 50mm (2 inch) chain link wired to that. The height seems to be 1 metre, a little strange because today the standard rolls are 900mm or 1200mm. This puts the fence top about level with the Stevenson screen stand, Met Office apparently use 910mm. I concluded from various evidence including shadows the met enclosure has identical fencing. This later confirmed. At the time I noticed the Google Streetview reveals what looks like a concrete paving slab leaning against the site cabin and is in the same photographic plane as the cabin. This seems to be 600mm x 600mm but there is nothing definitely known for a relative measure in the image, so I didn’t take this further. the cabin is about 2 metres long. Fence is probably 7′ 6″. By a bizarre stroke of luck I discovered the Met Office have edited their Factsheet number 17. This has been mentioned on this site (here) and a search shows mention in a comment at chiefio’s (here); the photo in the document showing a Virgin 747 from the Heathrow Met Office Stevenson screen. The Heathrow photo has vanished, a photo of the Camborne met site has appeared, exactly what I need now. This photo proved critical. I tried a variety of methods of trying to get a measurement of the paving but I needed to be sufficiently satisfied I am correct before opening my mouth in public. I still cannot be certain and so what follows is my best attempt which might be wrong. Camborne site uses 600mm x 600mm paving slabs. Image has been rotated slightly to make work easier (unneccesary as it turned out). The longest Google aerial image reference line I could manage is 10 metres, centre of fence to centre of paving corner, drawing scaled accordingly. This forms a known reference line to which items can be scaled according to the discovered vanishing point. VP is neglegable vertically. Some paving jointing is visible which was a help, some grass is growing over the edges, doesn’t help. Various check measurements have been made and one is left in place: centreline of rain gauge referred back along perspective to reference line and measured. You can check against at least two of the Google aerial dated images using Google Earth. Typically paving slabs are smooth surfaced cement, pale and darken with weathering. See the Heathrow photo, bottom right corner. Traditionally paving is bedded on sand. Is this ducting, ie. services underneath? I have no idea but I have seen plenty of site photos where cables seem to go into the soil. In the photo notice the fence foundations. This seems sunken but according to the Google dated images it remains highly visible. I am assuming 300mm width. It is not low vegetation typical of the region and will be thermally active. What the metal fencing does is undecidable. I have some evidence it does have thermal effects, as can be seen when ground frost is near fences or hedges. Radiately it might have effect too, as do the many other instruments. This will be minor. There is a different problem with chain link: it is notorious as a plant support, they love it, all too easy to end up with a wall of vegetation. This should not be a problem at closely maintained sites: I don’t recall seeing this trouble at any of the other sites but few have photos, vegetation outside the enclosure seems to be an altogether different matter. Those poses a problem for unattended sites and might explain the attempt at a hard surface at the base of the chainlink, stops plants colonising. Weedkiller poses problems over the need for a grass surface generally. Nevertheless weeds are trying to grow at the edge. Also note the field hedge, confirming it is above the Stevenson screen and will reduce prevailing wind scour as well as be thermally “seen” and also will cast shadow during low evening sun. Strictly the site is Class 5, air clarity instrument is sufficiently south side of the Stevenson screen to cast a strong if narrow shadow. Worth reminding the reader the WMO temperature error refers to peak error, means are much more subtle. I doubt this would be at all noticeable in even 10 minute data unless the larger heads cause a shadow. Observation: the variable nature of aerial images at different times has been a mystery but this might be solved by noting the sunken paving and fence foundation. Long distance photography is best done under very clear air conditions, typical post rain frontal system. If the trenches water fill that explains major reflectivity difference. I conclude it is likely that all paved sites use 600×600. How I estimated within 10 metres for Class 3 fail. Paving assumed 600mm within enclosure and 300mm for fence, plus areas for equipment exposed foundations. Calculation detail not shown, nor up to 9 other area calcs which might be done. 20metre measure is reference from Google image (measurements by Draftsight). I have been quite hard on this site, which is stated synoptic yet Camborne is also marked climatic. I hope I have been fair given it is an important Met Office site. Disagree, please speak up. Site must have changed in this time. A lot of information about upper air research exists on the web for the Camborne site. Too much to add here. Lot of it very interesting. This is an attempt at presenting a month of data decoded from synop. Wind is as ever ambiguous, arrow point up is wind around zero degrees, pointing right is around 90 degrees. This usually means 90 degrees as weather vane, from 90 degrees, east wind flowing westwards. Assuming I have things the right way around. Short of serious coding in C or eg. PDF library I have no way of doing pretty plots, at least software which doesn’t keep kicking back. It would be interesting to find out if, and if so by how much either way, the change in land use/landscape has an influence. It is quite obvious that the huge fields next to the Met enclosure have been created by grubbing up the hedge field boundaries – zoom out a bit and look at the beginning of the village. These boundaries were not just markers for possession, they were/are also and more commonly used as wind breaks. Why have you used that particular Stevenson Screen. I had estimated that there were four at Camborne/Kehelland but had not noticed the second screen in the picture you have posted above when I first came acoss it, so I now think there could be five. As for the boundaries of the station I believe the Northern Chainlink fence has always been present when that part of the field was annexed off for the weather station the other three boundaries are Cornish walls which give the appearance of hedges when they become overgrown. What has changed in quite recent times though is that the Cornish wall which forms the Western boundary (behind the screens in the picture above) used to continue north across the field and out to the lane that gives access to the station also meeting the school southern boundary. Since then that wall has been grubbed and the school has acquired the North east section of the resulting larger field for use as a playing field. This can easily be seen by visiting Cornwall Council Interactive mapping site where the 1/4mile 500m scale map clearly shows the old boundaries. 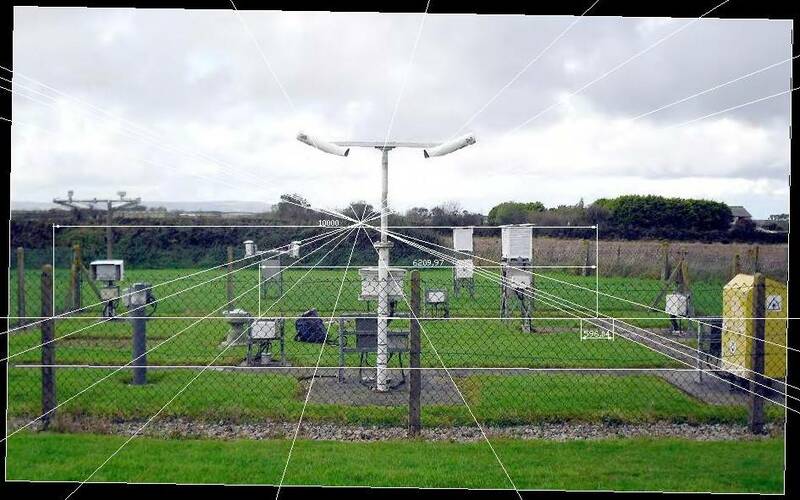 Both the geograph photo and google streetview show the new wind tower in the south west part of the station and the wind profiler radar wich looks like a skip in front of the building. I think this comes down to why we are taking measurements at a particular location. Clear the area, make it standardised for the surface of the planet at that latitude and altitude, in other words any microclimate is removed, it takes the measurement back to a common measurement standard. Adding back in the effects of a microclimate are up to information users. There will be fluff in that article, left lots out, spent ages trying to shrink it, mistakes too. Yes there is more than one screen. The one by the skip is obviously a bit decrepit, one in the experimental enclosure, dunno, one near the met enclosure on a closer examination is different. The only way to know which Stevenson screens contain thermometers, could contain anything, which are used, would need time at the site with full access as well as asking. Fundamentally because the Met Office provided a picture which says it’s the met enclosure. The chain link fence to the north is using a design of concrete post which so far as I know hasn’t been available for many years (although stock somewhere is possible). I have a probable anomaly date from the temperature data which says something major happened. My guess is a move to AWS, possibly with data editing. Metadata I have is in a mess. All I can do is look at what is there at best over the past 12 years. Outside of that there is unknown, peripheral to what I am trying to do, which is appraise what can be observed. More information is very welcome. Interactive map you mention. Broken here. On validating the page, not a web page, DOCTYPE is missing, a web browser will go into quirks mode. If it is that important I can try from a different system which is not adjusted for accessibility reasons. If the field boundaries have been stable since 1978 it doesn’t matter, although the date on the AWS will be later, before that I expect the met was in a different location and with different buildings.. I’d already spotted there is a chain link fence with concrete posts inside the scrub hedge from the school to the met entrance, suggesting the whole thing was done at the same time. I omitted the street view image of the wind tower. Get as close as you can to the entrance and look left. There _is_ a mast in the site far right corner. Radiosonde launch, need the tower out of the way. Sky sensing equipment wants a totally clear view, including no spinning metal objects. If that is a new wind tower, need some pics or text. I think I should have provided the originating link for the interactive mapping that leads to the sub link I provided. It’s a great tool as you can select layers such as landscape characterisation. Not much use for Culdrose but great for Kehelland and Bodmin airfield. So here is the access link. You may not be aware but there is a good example of microclimate creation just 3/4 mile to the East. It used to be the Ministry of Agriculture horticultural experimental station Rosewarne and is now the Duchy college. I had not noticed what I call number 4 Stevenson screen until I transfered the photos to a large display. Very hard to spot details on a small compact camera. It has a long lens though so some of the perspective is very hard to judge, but I think it should give you a reasonable idea where the 5 screens are, I’ve deleted the photo properties except GPS if it was recorded so do what you wish with them (the two maps are copy right though). They were taken this “summer”. I’ve reduced them to a small number as I’ve left them at the original file size. Don’t know how long they will last as it’s just a freebie trial account. Typical awful location for general measurement, was a formal station, still is for rain. Would the Met Office use a site like that? Oh yes, keep watching. Camborne there is a new data source. Could be it is intended to get missed, same site, but under the obvious name of Reach 2. Boy would I like access to both datasets. Having trouble with the mediafire site/server, will try again later. 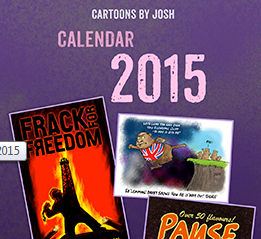 Okay, that was painful, ghastly site. Figured out a way which did download. Not taken the maps. Yes the boundary change makes sense. Looks to me it happened quite some time ago. I’ll look more at the images later. The anemometer mast is part of a palleted instrument pack seen at some other minor Met Office sites, probably temporary. They seem to try and keep these away from other instruments. Your photo has shown what I see as waterproof power connectors, something takes significant power. I was a Horticultural student at Rosewarne in the 90’s Tim and part of the course was about creating micro climates and meteorology. That meant students learned how to take various readings and this involved tramping over the station several times a day and also opening up the screen to see what was inside and how to read the instruments correctly. I had always assumed that the Camborne weather reports came from there. But whenever I inputed various co-ordinates for Camborne published on the web it always took me to silly places such as the Devon and Cornwall police road traffic car pound or even Hayle. Then I came across your research into UK weather stations, decided to try harder and came across the Geograph site giving the exact location. I can assure you that the Met’s site at Kehelland is not widely known about. Can’t blame them though considering all the expensive kit they have there and the local unemployment. From memory your pin is just about right for the location of the Rosewarne weather station, it is certainly to the North of the path and about halfway along. It must have been an important station when it was a Min of Ag research station. Added a couple of photos of Screens 4 and 5 (the ones in your picture above) taken from the road to the West, not the best light this year for a long lens though. Rosewarne co-ords are wgs84 from a database. Rain gauge is current. Horticulture can be a good subject if not of riches. Would be useful at the moment to have an off the record about microclimates. Many thanks to caz, see earlier comment. No problem with 4 screens, already knew but what is inside the screen is unknown. One west side of met enclosure with other instruments which change over time (see google sequence) and has a different interface box. Background of drawn on photo of met site. The answer is probably the 2009 Google image does not show screen 1. There are a few things we should be clear about here Tim. I posted those long lens shots so that you would have a better idea where the 5 screens are sited (2012). The focal length of the picture you have reproduced above does not reflect the true proportions of the Kehelland station on the ground. For example the trees in the background are actually beside the A30 and not immediately behind the weather station. It is a very large site and nothing is close together at all and I would think the data from there can be taken as extremely accurate indeed. There is obviously no shortage of money available to maintain the site and nothing appears to be in disrepair. The only time that data may be circumspect in recent history IMHO is the grubbing up of the western hedge that extended north of the station which would have exposed it more to North westerly winds. The “Skip” is an upward looking wind profiler radar. Name a month in recent years which might be interesting and I will see if I can pull the data up. Think I’ve mostly sorted out the decode, figuring what to do about data corruptions was tricky. 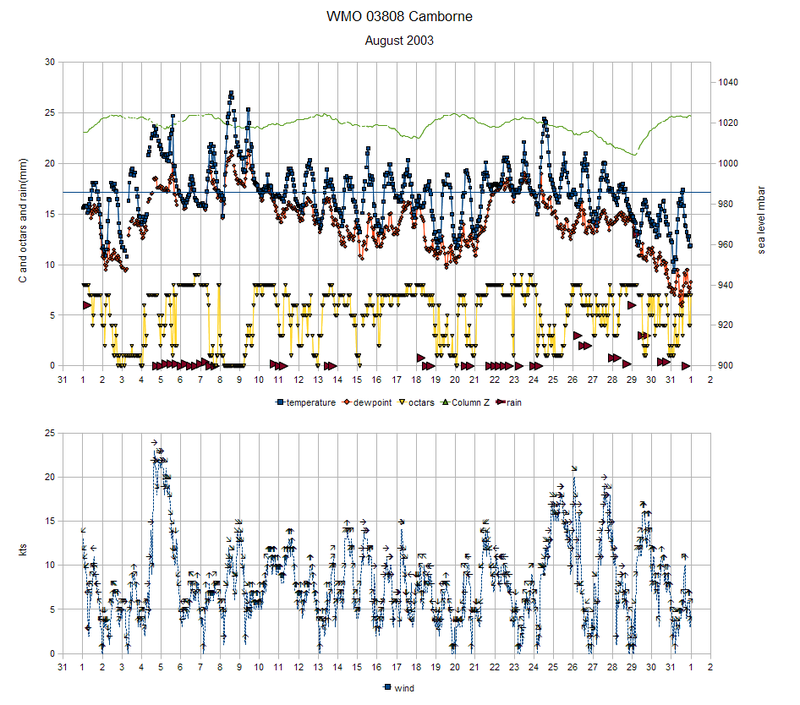 Updated article with example weather plots. Let me know please what is wrong.